Spiders are notorious for nesting inside the burner pipes and hoses on a gas grill, especially during the cooler months. The resulting spider webs can clog the Venturi pipes and openings in the gas lines, resulting in poor operation and ignition problems. Avoid this hazard by checking the pipes and hoses periodically for obvious signs of nesting. Cleaning the equipment takes only a few minutes using common tools. Covering a cooled gas grill when not in use helps deter spiders from exploring the appliance as a potential nesting ground. 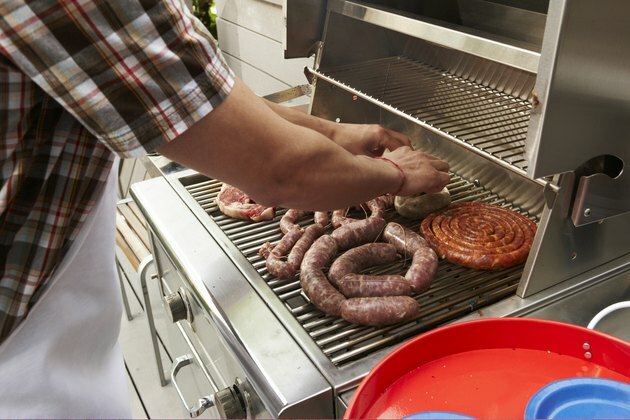 Keep your gas grill ready to go by cleaning the hoses of cobwebs. Shut off the gas to the grill and wait for the appliance to cool. All control knobs must be turned off on the grill's front panel. Unscrew the hose or hoses, depending on the number of burner connections, from the valve on the back of the grill's control panel using pliers. Swab the opening on each hose with a pipe cleaner. Pull the steel Venturi tubes beneath the grill gently off the valve stem controls on the rear of the control panel. The tubes have mesh wire screens in the sides and pull off the valve stems without tools. Clean the Venturi tubes with pipe cleaners, dragging out any cobwebs or nesting material. Blast compressed air into the tubes and the end of each hose to dislodge any remaining material. Swab all parts once more with fresh pipe cleaners. Slide the Venturi tubes back on the valve stems and reattach the gas hoses to the grill using pliers. 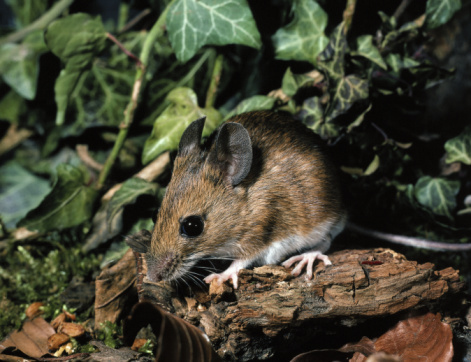 How Do I Sanitize My Grill After Mice?